Whatever the size of your business, we can help find the right van for you. Our specialist team of vehicle experts will work with you to choose the commercial vehicle that will get the job done. 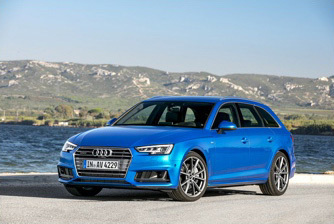 You can choose from a wide range of makes and models, with access to special deals and stock which may be available in as little as two weeks. We’ll make sure your van is fit for purpose and ready to use from the moment it’s delivered. Minimising the time your vehicles are off the road. We treat vans like small trucks rather than big cars. 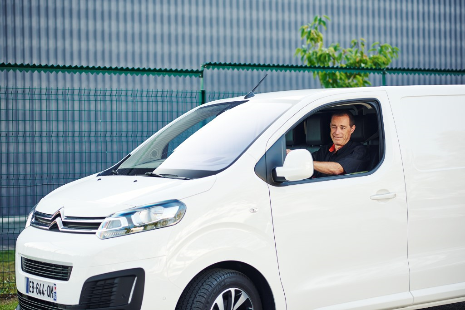 Together we’ll run through a number of questions around how you’ll use the vehicle to make sure you get the right van for your business, as well as the best leasing options. From selecting the right vans and deals to any additional services or help solving operational issues, you can count on our support whenever you need it. Qualification – together we’ll analyse your business objectives and mobility needs in relation to your fleet strategy and operating models. Leasing solution – based on the results of the qualification, we’ll develop a tailored solution for your commercial vehicle leasing needs. Quotation – you’ll receive a quote that includes the cost of a fit for purpose vehicle; appropriate terms for service, maintenance and repair; all ancillary equipment you need such as livery and racking; as well as suitable business contract hire terms and mileage. Operational support – you will benefit from ongoing support, from delivery right through to renewal. Renewal – you can be sure of a smooth transition from your old van to the new one, without causing any disruption to your business. Value-added features – our Fleet Pro service offers additional benefits to our most dedicated customers. End of contract – we make a careful appraisal of the vehicle’s condition based on our commercial vehicle Fair Wear and Tear policy. Review – monitoring tools and client satisfaction surveys help to optimise your fleet’s cost efficiency and up-time. There are a number of additional services available with us that can help you truly optimise your fleet’s performance. Our Fleet Accident Management provides a wide range of benefits including 24/7 UK-based driver support and roadside vehicle recovery. Short Term Hire gives you access to more than 550,000 vehicles from 2,500 rental locations across the UK. Our Fuel Cards not only save you money at the pump, they give you greater control, allowing you to track and analyse driver fuel spend, helping you to drive down fuel costs. A Maintenance package avoids unexpected bills from the garage, with repairs carried out by our accredited supplier network. Mobile tyre replacement and the offer of a replacement vehicle, subject to your agreement, add up to complete peace of mind. One number to call on our DriverLine to do everything from order your next vehicle to book an MOT or arrange the documents you need for foreign travel. Any questions or looking for more information? Give our expert team a call today on 0345 408 4047. ... amazing service ... will recommend you guys again and again! !